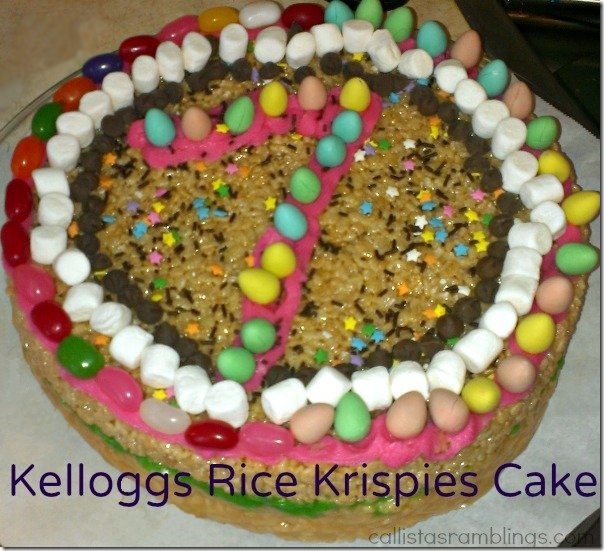 Kelloggs sent us a fun box to make an Easter treat with but instead we made a Rice Krispie Cake for my daughter’s 7th birthday. 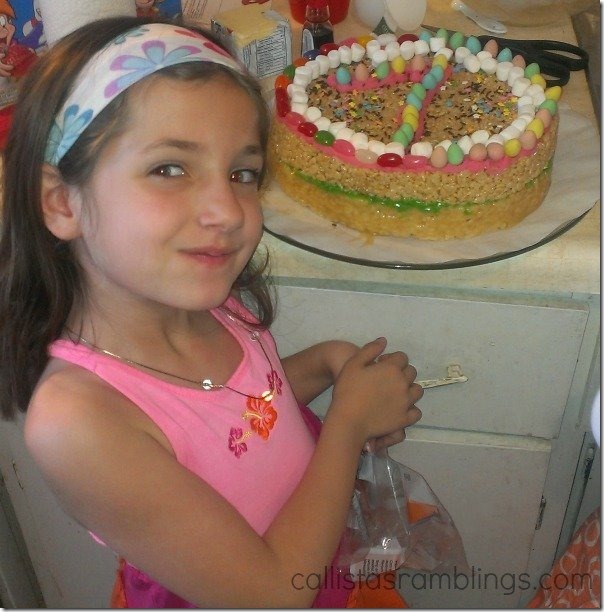 We were just too busy during Easter so my husband suggested we make her a cake instead. Kelloggs Canada sent us some Kellogg’s Rice Krispies, mini marshmallows, Jelly beans, Cadbury Mini eggs, cupcake liners, icing and the spatula. We picked up some butter and chocolate chips and took out our vanilla and maple extract, bowl and cake pan to round out the supplies. 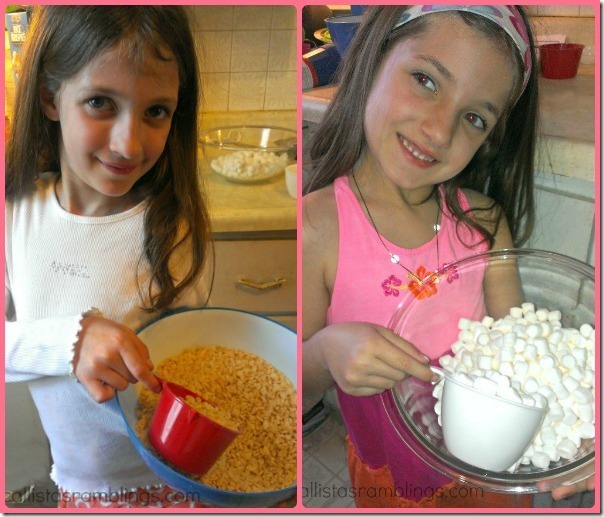 Rice Krispies is a healthy cereal option but also makes a great treat that most people know, Rice Krispie treats. They don’t HAVE to be squares though! 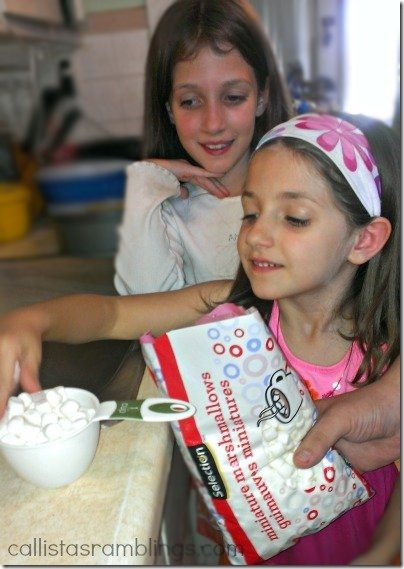 Following the instructions on the box, the girls measured out the marshmallows and Rice Krispies cereal into separate bowls. The marshmallows were melted in the microwave and mixed with butter and flavouring (we made one cake slab vanilla and one cake maple.) 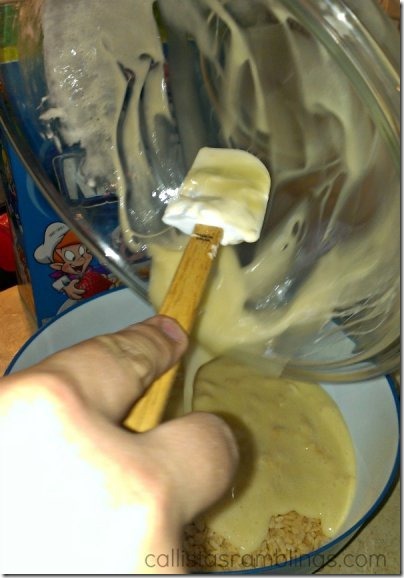 This mixture was stirred into the Rice Krispies and then pushed into the cake pan and chilled for a bit to set. After turning out cake slab #1 onto a serving tray, they repeated the steps with cake #2. They decided to add some green icing in between the slabs to make sure they stayed together and then they worked together to decorate it using leftover marshmallows, mini eggs, jelly beans, sprinkles and chocolate chips. You can never have too much candy for your birthday right? 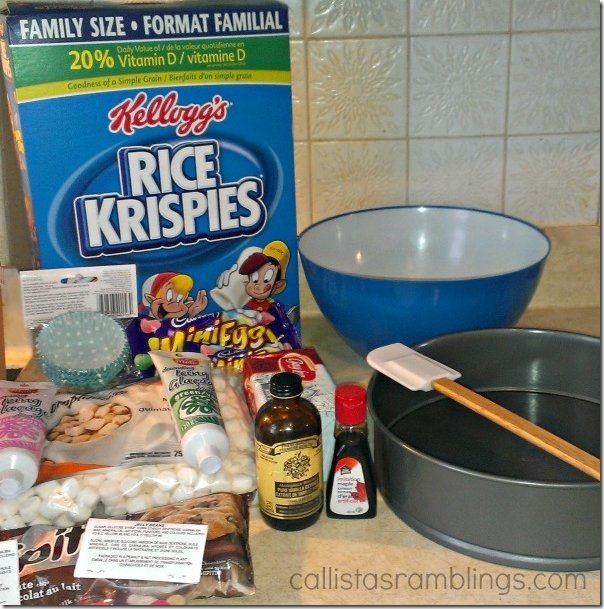 Kelloggs Rice Krispies can be molded like clay into many different shapes for any holiday or season. We received instructions for making Easter eggs, flowers and Easter baskets and I know I’ve seen many creations around for other holidays too. It’s a quick and easy, but fun dessert your kids can help with or possibly even make on their own depending on their age. 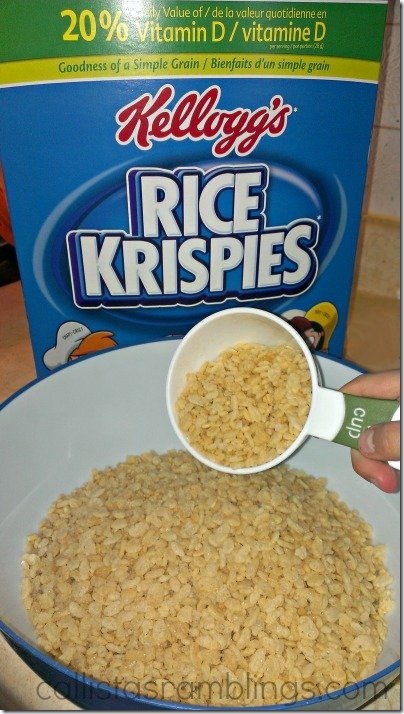 Next time you want something fun to do with the kids, grab a box of Kelloggs Rice Krispies and follow the directions on the box to make a fun treat. Disclosure: As part of the Kelloggers Network I receive special perks such as products to try out in order to help facilitate a post.